Parker`s Maple Barn is a back woods treasure where you can see the maple syrup making before you sample the sweet stuff over a hearty breakfast. The restaurant is converted from a 19th century barn, and hearty highlights include seven kinds of pancakes and maple glazed baby back ribs. Parker`s Maple Barn is a country kitchen tucked away in the forest. The transporting restaurant occupies a 19th century dairy barn and silo warmed by wood fired stoves and decorated with tree tapping relics and farmyard antiques. 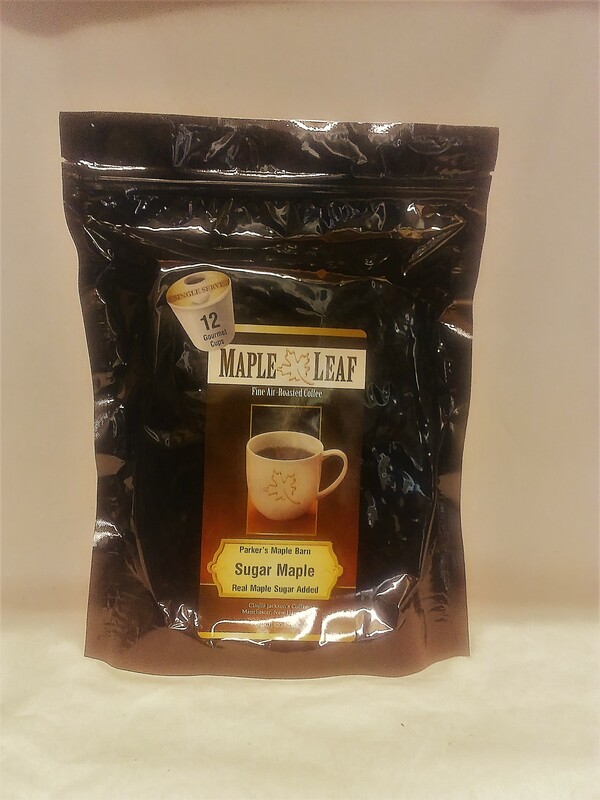 Maple sap is tapped on the premises and made into syrup, which sugar coats the homestyle breakfast and lunch menu. First bites included crunchy bacon cut in slender, rippled strips full of heady smoked flavor. Cajun spiced home fries piled up on the plate in golden, bite-sized shapes with soft potato centers. 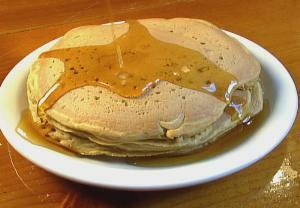 For the main course, plate-sized buttermilk pancakes soaked up the maple syrup in a fluffy triple stack. But the most genius dish was two sunnyside up eggs paired with a half rack of Maple Glazed Baby Back Ribs, falling from the bone in sweet, succulent hunks. Home roasted maple coffee rounded out the meal with a heavenly cinnamon roll of warm, rich dough dotted in raisins and smothered in liquid icing. Portions are fit for a lumberjack, and the house maple syrup flows in unlimited supply. Servers were also sweet at a relaxed pace that seemed appropriate for such a countryside escape from the city. Cleanliness was satisfactory, but before you even make it inside, take a free tour of the syrup making process in the Sugar House. Breakfast plates at $5 to $14 are worth every cent, and you can buy tins of maple syrup at the Corn Crib gift shop next door. Parker`s Maple Barn is open from February to December, located just across the Massachusetts border in the enchanted woods of Mason, New Hampshire.